Acute psychiatric wards are protected emergency areas in a psychiatric hospital. Treated are all patients who are in danger to harm themselves or others because of their psychiatric illness or who want to commit suicide. 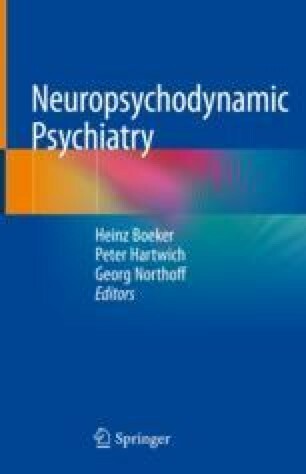 In some schizophrenic patients, whose attention is greatly reduced to themselves, one can assume that they focus strongly on their spatiotemporal Self, so the hyper-connectivity of their CMS is overly emphasized. At the same time, because of a shift in the CMS-CEN balance with an overload of the CEN, they are hardly aware of the environment. Other schizophrenic and schizoaffective patients are particularly sensitive to external stimuli because they cannot filter and mitigate them. Consequently, the neuronal aberrations that amplified the symptoms of the disease become worse. We see the same with severe depressive patients with suicidal ideas that they can hardly be influenced by the environment. But other depressives are overly irritated by the extreme external conditions. When manic patients are admitted in a locked ward against their will, they create a high level of tension. Patients with personality disorders and drug addicts usually are very disturbed by the overly arousal. We describe how to deal with aggressiveness and hyperarousal from the side of the patient and the therapeutic team and especially with suicidal patients. The treatment of chronic suicidal tendencies creates a problem what Gabbard described as “countertransference hate.” We describe examples of group psychotherapy for those patients and supervision sessions for the therapeutic team.